Honeywell Q348U1009 universal intermittent pilot burner with batwing style hood for NG or LP. 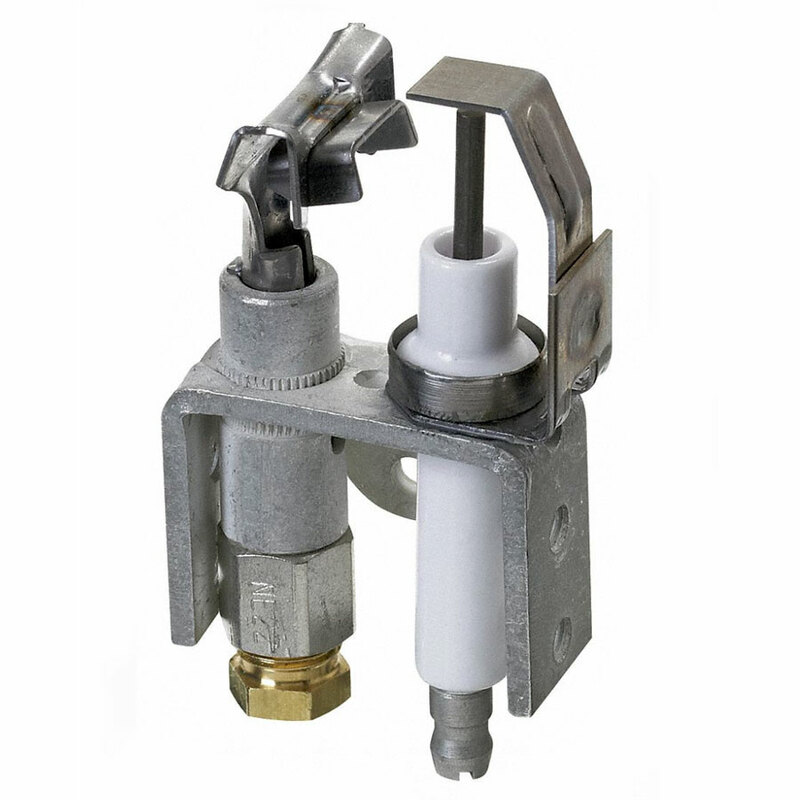 These pilot burner/igniter-sensors provide pilot flame ignition and sensing in intermittent pilot systems. They consist of a bat-wing type pilot burner with a combination spark igniter and flame sensor. Used with S8600F, S8600H, S8600M, S8610F, S8610H, S8610M, S8610U, S8660D, S8660E, S8670D, S8670E. Orifices: NE22, KF24, A26, KR14. Includes pilot burner with bracket, ceramic-insulated Kanthal flame rod/spark igniter and ground strap.